The Barmah-Millewa Collective is campaigning for Water Rights in the Murray-Darling Basin. For over a century, irrigation has been over-extracting water from the rivers of the Basin, and the environment has been forced to survive on the left-overs. This has led Australia's longest river system, spanning four states, to the brink of ecological collapse. For the first time, the Federal Government is creating a national management plan to correct decades of poorly coordinated and short sighted irrigation practices. 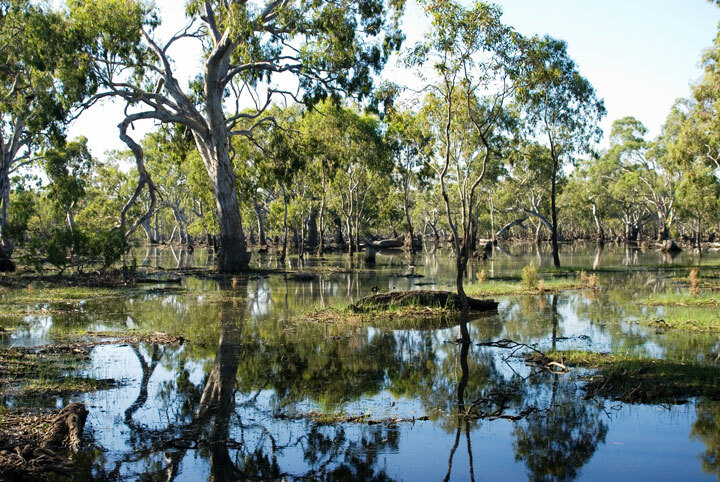 This is called the Murray-Darling Basin Plan, and it is at risk of succumbing to reactionary State Governments and Big Agribusiness pressure. the many threatened birds, fish and frogs that are struggling to survive in water-depleted ecosystems. 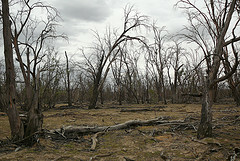 Indigenous communities throughout SE Australia have been dispossed of land and water since colonisation. The Barmah-Millewa Collective has run a succesful campaign with Yorta Yorta and other Traditional Owners of the Murray over the past decade, to see over 250,000 Ha of land and forests protected, and handed back to Traditional Owners under Joint Management or Indigenous Protected Area agreements. Now, Indigenous communities are demanding their water rights - as part of our campaign for a Strong Murray Darling Basin Plan, we are working with Traditional Owner groups to ensure adequate cultural flows are provided to allow Indigenous people to continue to care for the river country their ancestors have lived on for tens of thousands of years. Find out more about the campaing for environmental and cultural flows visit our new campaign website www.ourdarlingmurray.org or for more info on all our work, see the barmah-millewa collective page here. Our report Cotton and Virtual Water in the Murray-Darling Basin (September 2012) is available at the link below.